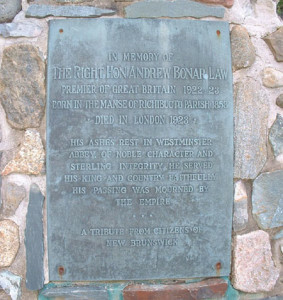 Andrew Bonar Law (he disliked the name Andrew and never used it) was born in Rexton; the son of the Rev. James Law (1822 – 1882), who was pastor of St. Andrew’s Presbyterian Church for 32 years from 1845 to 1877. James Law had five children, four boys and a girl. Only one of the family, Robert, remained in Rexton until his death. Bonar Law inherited from his mother a remarkably sweet disposition but with an element of iron in it. He was tolerant but firm in following principle and when he believed in a cause, never backed down until he had achieved his purpose. His first three years of public schooling were spent in Rexton. After the death of his mother, an aunt took Bonar to Scotland to live with her; he completed high school in Glasgow, the only education he ever received, except through experience. His first job was that of a bookkeeper to an iron firm and when he retired in business to enter politics, he was head of the largest iron company in Scotland. He lacked the eloquence of his father, but had other qualities more valuable; good sense, tolerance, foresight, courage and principal. He was elected to the leadership of the Unionist Party in 1911, later becoming Secretary of State for the Colonies, Chancellor of the Exchequer and then Prime Minister of Great Britain. Bonar Law still holds the distinction of being the only man born outside of the British Isles to hold the office of Prime Minister. Bonar married an Englishwoman, Ms. Robb and they had five children, three boys and two girls. The death of his wife in 1909 and the loss of his two sons in the First World War made him a lonely man. He came to the Prime Ministership in 1922 as a dying man. 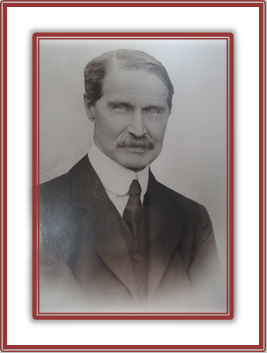 Bonar Law was elected in November 1922 and died in office in October 1923. The old Manse in which Bonar Law was born still stands on the bank of the Richibucto River, a beautiful spot, now restored as a historic site. 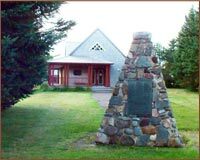 In 1925, a cairn to his memory was dedicated in Rexton. His son, Richard, came from England to unveil the memorial and give the dedicatory address.